MP Sehore Indian Army Admit Card 2017: The Indian Army has released admit card of post of Soldier General Duty (All Arms), Soldier Technical (Technical Arms – Arty, Army Air Defence, Soldier Clerk/Store Keeper Technical (All Arms), Soldier Nursing Assistant (Army Medical Corps), Soldier Tech Dresser (RVC), Soldier Tech (Avn & Amn Examiner), Soldier Tradesmen(All Arms) through https://joinindianarmy.nic.in/Authentication.aspx. The Indian Army has invited applications from eligible MP candidate of Vidisha, Raisen, Rajgarh, Betul, Bhopal, Sehore, Chhindwara, Harda, Hoshangabad district to apply ON-LINE through website https://joinindianarmy.nic.in/Authentication.aspx. for the post of Soldier General Duty (All Arms), Soldier Technical (Technical Arms – Arty, Army Air Defence, Soldier Clerk/Store Keeper Technical (All Arms) etc.Madhya Pradesh Indian Army Recruitments admit card available now…. more information about Sehore Rally Bharti @https://joinindianarmy.nic.in/Authentication.aspx where you can download rulebook also. Go to end of the page and click Download Admit Card Link OR Please visit the official website of Indian Army to download the Admit Card. enter enter email ID and Password for download Admit Card. Indian Army Rally Bharti Physical Test Details and Exam Pettern? There will be minus marking in the written examination, in which 0.5 points will be deducted. ( a) कद – 2 से. मी. ( b ) छाती -1 से. मी. ( c ) वजन – 2 कि. ग्रा. ( a ) कद – 2 से.मी. (b ) छाती -3 से.मी. 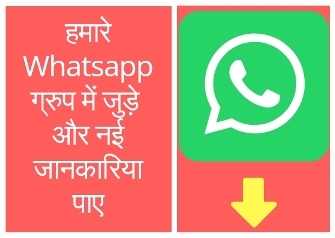 (c ) वजन – 5 कि.ग्रा. ( c ) वजन – 48 कि. ग्रा. send your email id and indian army password on my email id. sabhi candidate ke aa chuke hai. Tumhari Email ID or army pass niche likhi email ID par mail karo.